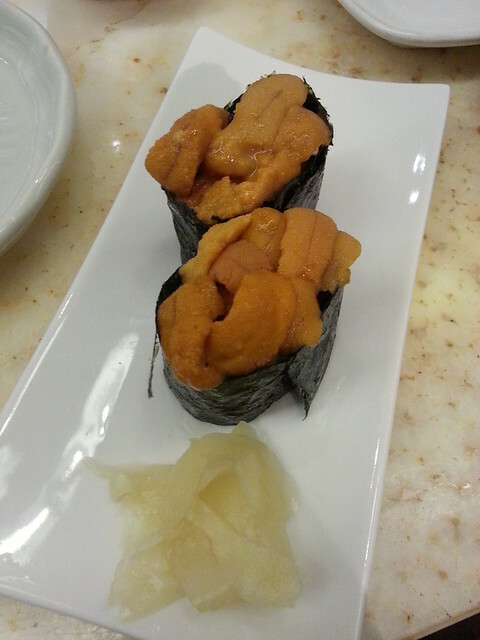 I love sea urchin gonads…or as the japanese calls them – uni. The best uni I have ever had was on a chirashisushi at Tskukiji Market, Tokyo. Imagine if the sea was made of clotted cream……that was how it tasted like. Since, I have never tasted anything as close. So I just stopped looking and hope to be able to afford another trip to the land of the rising sun for my fix. Recently though, at the advice of a friend (hello, Lainie! 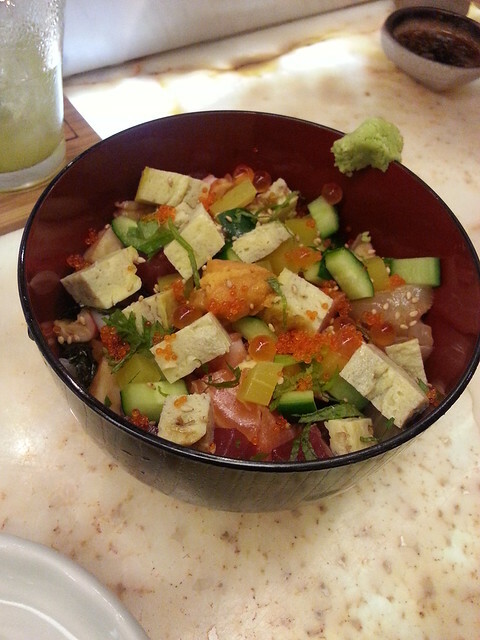 )….I convinced the husband to get out of the queue for Sushi Zanmai (which I love by the way for their reasonably cheap and decent Japanese fare) in 1 Utama and headed towards Iciro Sushi Bar. Ichiro Sushi Bar is a pretty small restaurant tucked behind the more prominent ramen restaurants in 1 Utama’s Isetan. No-nonsense decor but still comfortable. We sat at the bar and was met with two Japanese chefs. We went at an odd hour, so was pleased to have the restaurant all to ourselves. What a great change of environment from the chaotic Sushi Zanmai earlier. Greeted with an iPad menu, the first thing I ordered…. # – Luscious uni sushi. So, it did cost RM16 a pop, but they’re so generous with the gonads it’s totally worth it. Still not Tsukiji standard, but pretty damn close. I was truly happy. We also had several other types of sushi, same generous portions of fresh seafood. Love it! 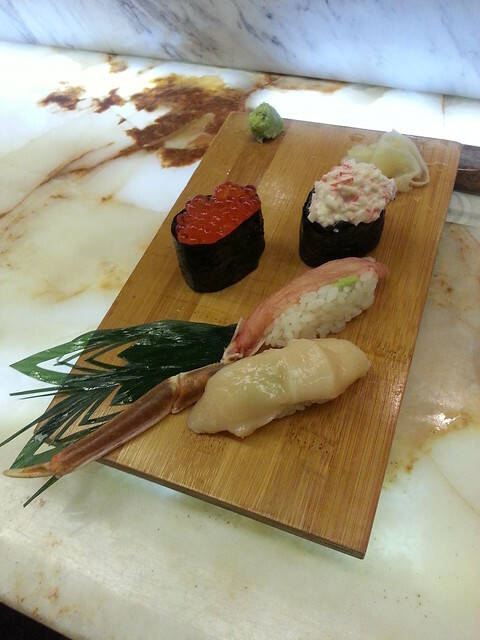 # – Crab, scallop, salmon roe and fake crabmeat (sorry, that’s my ghetto indulgence). I ordered a loose sushi (bara chirashi) because I needed MORE rice and also, it was special lunch deal item (can take a girl out of Cheras, can’t take Cheras out of her). What a superb decision I made because it was so delicious! Mixture of japanese rice, salmon roe, chopped omelette, chopped tuna, chopped salmon, chopped octopus, chopped cucumbers, tobiko, pickles and more uni! Loved it! Not the cheapest lunch we’ve had, but it’s the kind of place where you’d walk out full, happy and willingly broke. Definitely going back! It is NOT a free t-shirt, it’s a custom crafted cafepress limited edition print for http://www.security-forums.com – designed by me! ok, what an awesomely designed t-shirt. proud of my husband. LOL @ ShaolinTiger, so proud of his *free/not so free* T shirt. Still cant getthe grasp of eating sea urchin, i know its a delicacy, but slowly and surely, i will get there. that picture…. scared the goodness out of me!